Just eight percent of the American adults who use the internet are Twitter users. And they are mostly young adults, minorities, and those who live in cities. This data is from the first-ever survey from the Pew Research Center’s Internet & American Life Project that exclusively examines Twitter users. 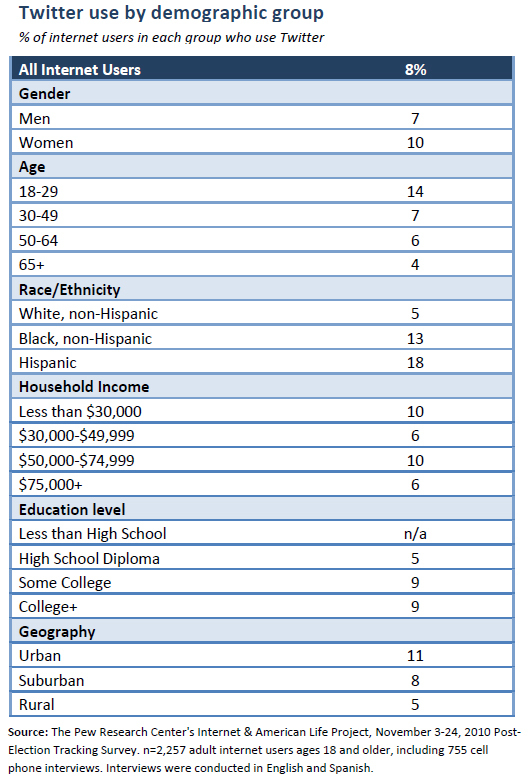 The table below shows the basic demographic breakdown of that population.